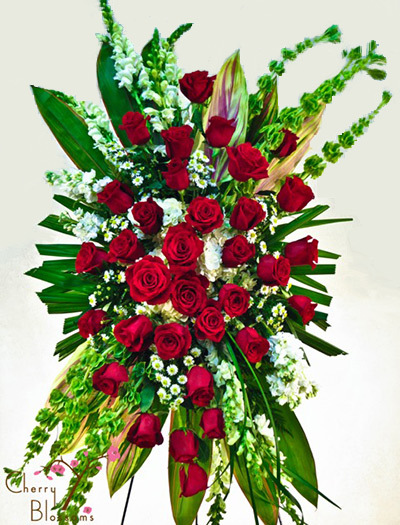 Red roses in a standing sympathy spray with white accents. Stately red roses with some white upon a bed of green combine in this traditional standing spray. Price includes the metal easel stand.